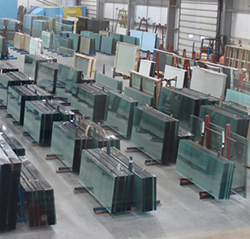 N&C Glass supply domestic and commercial solutions from float glass to safety glass, mirrors, conservatory glass, stained glass, through to large shop fronts, oversized mirrors and fire rated safety glass. The glass and sealed unit options are endless and are available as stock, cut sizes or double glazed units. Furthermore, with our reliable next day delivery service and huge stock glass availability, we are recognised for our unrivalled service as well as product quality and availability.